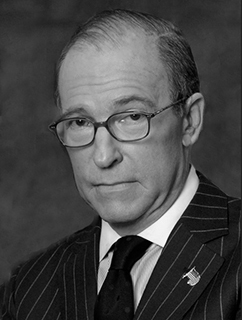 Larry Kudlow was formerly chief economist and senior managing director of Bear Stearns & Company. Kudlow started his professional career at the Federal Reserve Bank of New York, where he worked in open market operations and bank supervision. Kudlow was educated at the University of Rochester and Princeton University’s Woodrow Wilson School of Public and International Affairs.